You have a test on Monday? Don’t panic. You can do this! This post will revealed 5 best ways to approach studying in the most effective way. Studying is a skill you can learn just like any other skill you have already mastered. There are study tips that will help you along the way. Here are the top 5 best study tips for a test that, when applied, will help you succeed. Using index cards requires you to organize your information in a way that makes sense to you. Your brain processes information in chunks that interest or relate to you. So, here is how you are going to do it. On each index card write down any important facts, dates, key events, vocabulary or concepts you need to remember for your class. Of all the study tips that is outline in this post, it is important to remember that everyone’s brain organizes information differently. Think about how you process new information. This tips how to study for a test using index cards will be different for everyone. By separating these bits of information on index cards you can arrange them in ways that make sense to you. For example, you can group the cards in chronological sections, or by key leaders, by concept or by key events. It doesn’t matter how you group together the information, just make sure that you group the cards in a way that makes sense to you. For example, if I was using this tips index cards, learning about the American Revolutionary War, I would want to break it down to chronological events and then further to events in specific geographic areas. You will be using the tips index cards in your own way to organize the material. Perhaps you would organize the information through the key personalities involved in the war. You could organize by the weapons they used or the nationalities involved. Make the information relate to how you think about it. Reflecting on how you retain information is one of the essential study tips for a test. Here is one of the study tips for a test that will help you and others at the same time. Start a review study group for your class. Meet in the same place at the same time for a few weeks before an exam or throughout the school year. Separate the information you are responsible for on the test and assign each member a chunk. They are responsible for explaining and answering questions for that chunk of information to the rest of the group. Share the study tips with the study group to assimilate the information quickly, then return to teach the other members of the group. Now you have given built-in motivation to study and master the material. If you have to teach the information to others you have a better chance of mastering the information yourself. This is another one of the important tips in this article you can use for the rest of academic career. Despite your best efforts using the study tips in this article, you will need to take breaks. No one can study for an unlimited amount of time. Your brain can only concentrate for a certain amount of time. Give yourself 45 minutes of focused concentrated studying time and then give yourself a break for 10 minutes. One of the best study tips outline in this article is to get more oxygen to your brain during your breaks. Take a walk or do some stretches to get your body moving and blood pumping. Sometimes your best ideas come to you when you stop concentrating and let your mind rest during a break. Here is another one of the tips on how to study for a test you can apply to other aspects of your life. You know that understanding how your brain works is one of the best study tips. The brain learns information through connecting it to information that you already know. The brain connects unknown information with already familiar knowledge. You have used this study tips your whole life. For example, as a child you first learned to recognize the letters of the alphabet, then the sounds of those letters, then short words based on those letters and so on. In the same way you should start with more familiar information and then attach unknown information to your studying. This is one of the more unknown study tips, but this studying technique works. Your instructor knows that you might need tips on how to study for your test. They usually have office hours each week when you can make an appointment. 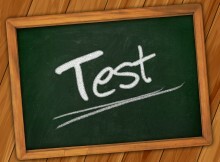 Schedule an appointment and clarify any questions you might have about exactly what will be covered on the test. An instructor should be able to give you a focus of the material on the test or tell you the range of information that will be tested in the class textbooks. Also important is to review with them the format of the test. Will it be multiple-choice, short answer or essay? How long should the test take? Your instructor may have their own tips on how to study for their test. After getting your questions answered you should know what areas of the information you need to concentrate on. Share your findings with your study group and prepare each other. Apply these study tips and you will succeed. If you are interested in a more specific ways to study and how the brain learns information, then stick with EduAnsa. It is a fantastic site full of great ideas, ways to learn information faster.